A new outbuilding on a lakeside site serves primarily as a writer's studio while also doubling as a guesthouse with garage facilities below. Views of the lake are enjoyed from the main studio space as well as the screened porch and deck. Behind sliding shoji screens are a sleeping nook, kitchen and full bath. 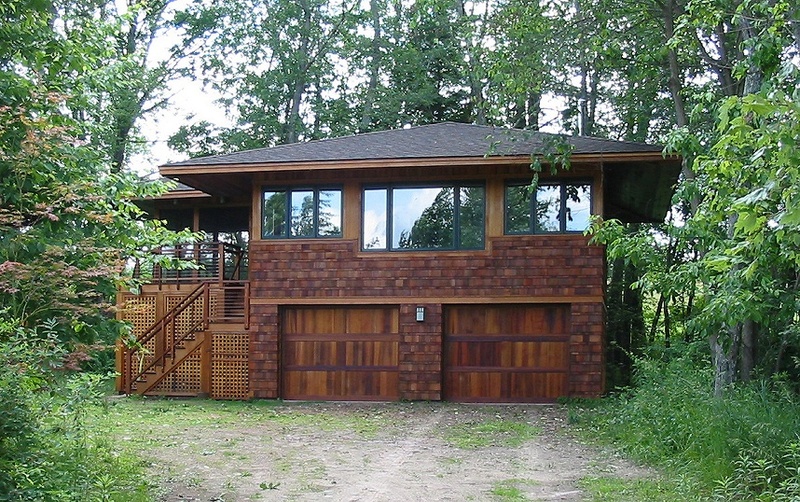 Completion of the building prior to the demolition and re-construction of the main house on the property (see lakeside retreat) allowed for the owners to have continuous uninterrupted use of their weekend sanctuary.